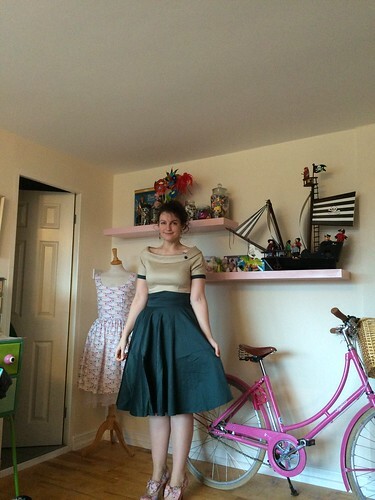 t*rexes and tiaras: Forest Neutral.. I mentioned there was more Dolly + Dotty love to spread and it seemed as though there was no time like the present. Since returning home from the weekend, I've been in something of a panic mode about just how much there is to do before the festive season. I'm yet to post my Christmas cards and my #bloggersecretsanta present is one of the only ones remaining to be posted. I made a to-do list the other day, which is more than ten pages of my notebook long, but weirdly it's been helpful to have it all written down and I've ticked a good number of things off so far. I was tempted to go to the cinema (I really want to see Krampus) last night, but gave it a miss as I figured my time would be better spent getting some of the baking backlog done and finishing some of the Christmas presents I've been making. I also cleared another bundle of things out of the wardrobe room and listed them on my clothes sale, and there's more to add. 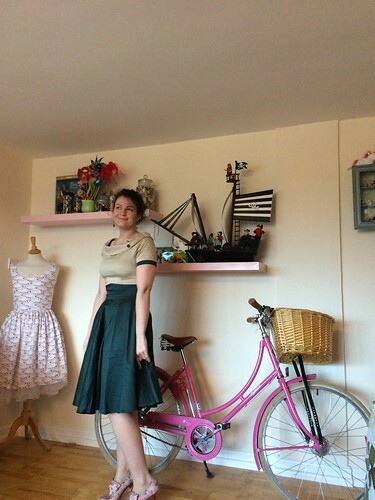 So, this is my second Dolly + Dotty dress. This is Darlene and I have to admit, this one more of a step outside of my comfort zone than Petal. I don't often plump for block colours and can't think of the last time I chose anything as neutral as beige. I have to admit, though, as soon as I put it on, I loved it. I also received plenty of comments on it, too. 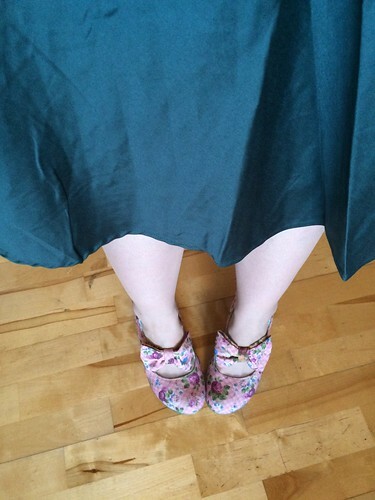 Obviously, I teamed with a pair of Irregular Choice shoes which were floral, so as not to have a completely plain outfit. And I wore mt floral coat, which didn't make it into the photos. It doesn't look as though this colourway is still available on the Dolly + Dotty site at the moment, but there are plenty of others to choose from. 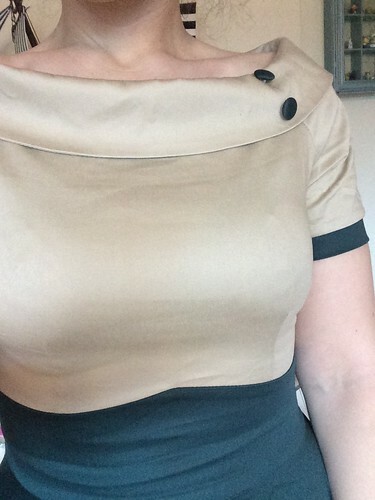 It feels so much more "grown up" than my usual dresses. This is really gorgeous on you! The fit is fantastic. This is stunning, it fits you perfectly and looks so elegant. You look fabulous in these photos! That pale colour really, really suits you!